I just got back from Washington DC and while I was there, I visited so many monuments and memorials to fallen soldiers that my heart felt as if it were literally breaking. 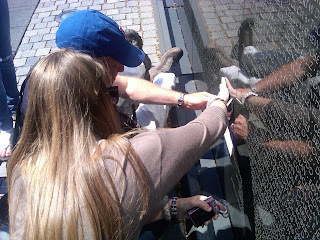 Tears ran down my face as I searched for the name of my parent's best friend who was killed in Vietnam. 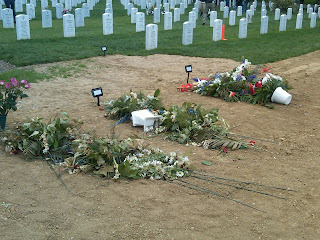 My heart ached for the mothers of the fallen soldiers in Arlington National Cemetery. 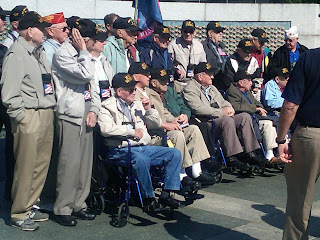 Shaking the hands of WWII Vets, thanking them for their service and hearing their stories made me determined to not let their sacrifices be forgotten. From War to Peace is dedicated to never forgetting our fallen heroes by recycling weapons of war into peaceful symbols of beauty and function. They turn bombs into beauty, hate into love, and war into peace. At From War to Peace, they recycle metals from disarmed nuclear weapons systems and use it to create a wonderful alloy they call Peace Bronze. 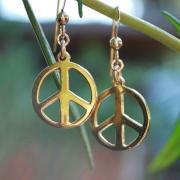 With it, they cast jewelry and other art dedicated to creating a more peaceful world. They believe that peace is triumph. At From War to Peace, starting with one weapon at a time, they hope to see a demilitarized world in our lifetime. Join them in remaking our planet into a happier and healthier home for us all. Click HERE to Visit From War to Peace Now!